December 11, 2014 This post may contain affiliate links. 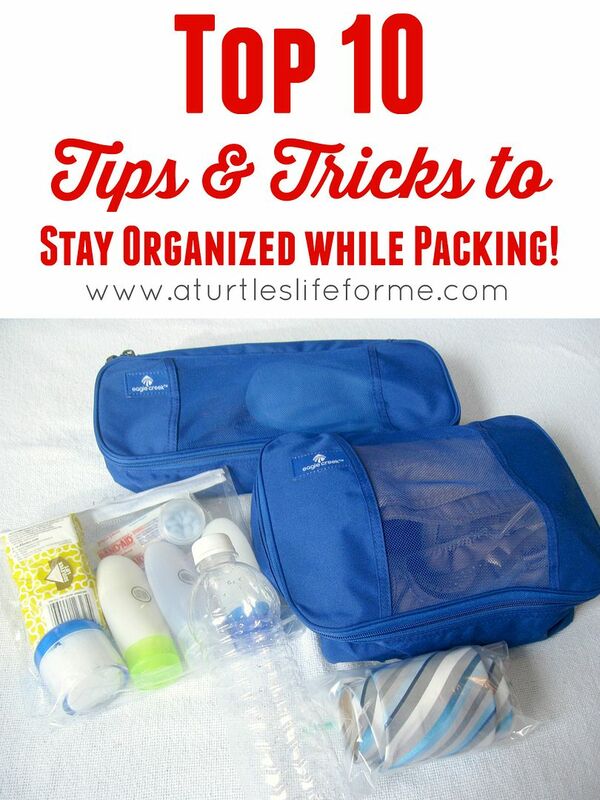 These tips & tricks to stay organized while traveling have saved me on many an occasion. It’s so refreshing to start your vacation feeling like you’ve got your traveling game together! There are many areas of my life where I feel disorganized and a little chaotic, but when it comes to packing for trips, I won’t even let that be an option. I’ve traveled enough both as a family and solo for work, that I’ve picked up a few tips and tricks along the way. Tip #1. 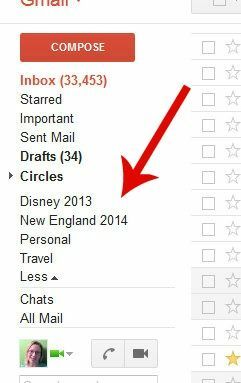 Before you ever leave your house, set up a separate folder in your email account for trip-related emails. Every confirmation email, itinerary, reservation… all of it gets put into a separate folder that I have set up for that specific trip. This way I have access to all my departure/arrival times, confirmation numbers, hotel address for cab driver and more all organized and easy for me to find. It also helps when you return from your trip, to streamline the process of leaving reviews/feedback. Tip #2. My carry-on bag is my life-line when I am traveling, and sometimes the only piece of luggage I even bring depending on the length of the trip. I like to keep everything within my carry-on organized and in separate pouches. When I first started traveling, I would just dump everything into the carry-on. Chargers were thrown in, a spare set of clothes, toiletries, pens, etc. It was a big mess and I would always end up mid-flight, in tight quarters, having to pull out way more than I needed just trying to find one little thing. It used to be like playing a game of Tetris trying to get everything to fit, but once I started organizing, the same amount of stuff can easily fit with room to spare! Tip #3. I always carry a spare set of clothes and shoes in my carry-on. I cannot tell you how many pairs of shoes I’ve broken walking through an airport. This could have something to do with the fact that I wear cheap flip flops through security or that my children walk too close behind me and always step on the heels of my shoes, but either way, I have never regretted having an extra pair of shoes in my carry-on. 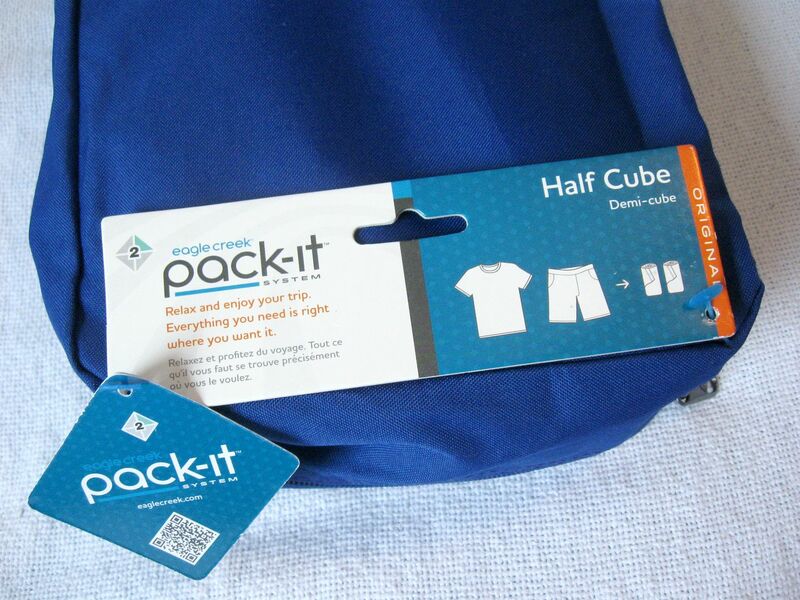 I roll my clothes and an entire outfit plus shoes fits in this little demi-cube bag from The Container Store®. I’ve tried numerous bags for this purpose, but this has been my favorite. I love the soft sides, so it works for a summer outfit or a winter outfit. The mesh top is great, so I can see exactly what’s in the bag without having to open it. More importantly, my husband can see what’s in the bag in case I ask him to grab it for me! Tip #4. 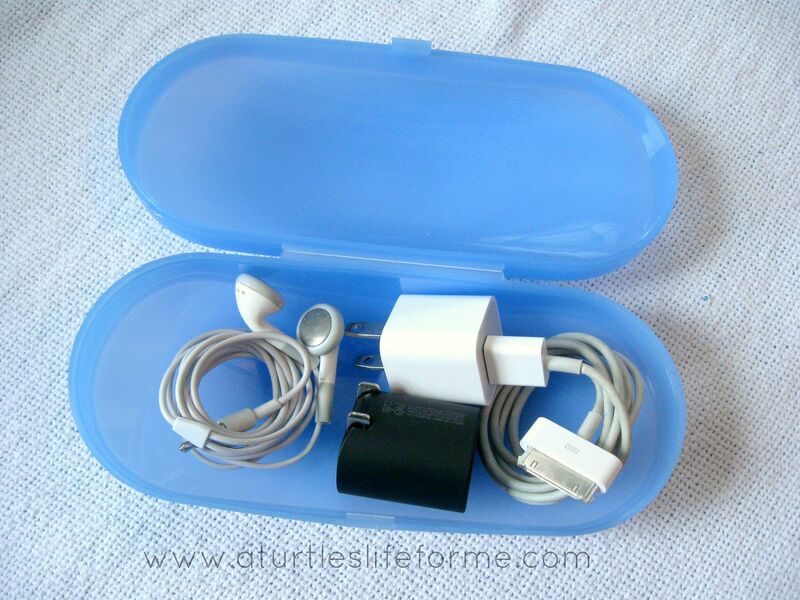 I use a cheap eye glass case for my charger cords and headphones. There’s nothing that’s more frustrating for me than loose cords thrown in a bag that I’m trying to pull out while they’re getting stuck on every single thing they pass. I love keeping them separate and rolled up. No more tangles or digging in your bag. 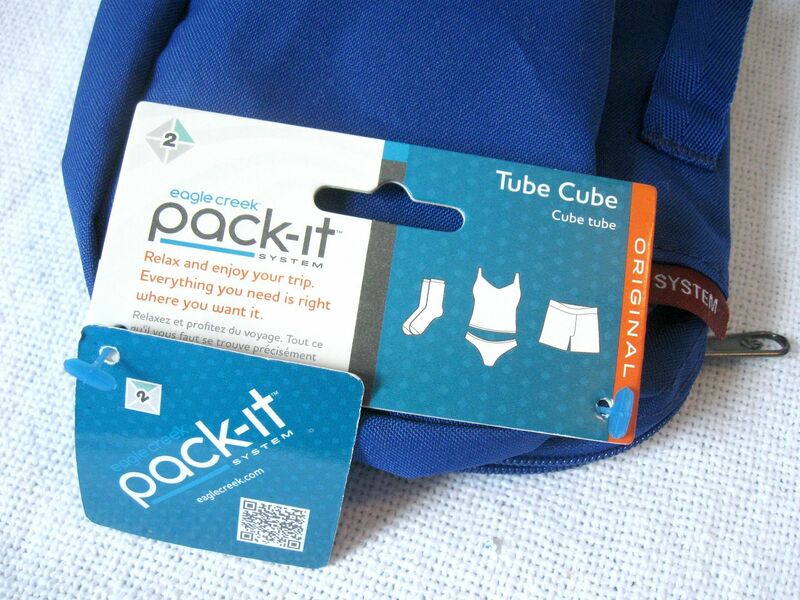 My favorite bag that I’ve found for this is the Pack-it Tube Cube bag from The Container Store®. Again, I like the soft sides, so if it’s a short trip and it’s not that full, it just compresses and doesn’t take up much room. The mesh top is still ranking high on my list of favorite traits! Tip #6. I’m a rule follower and can stress myself over little things like weight and ounces, so I’m a HUGE fan of these Airline-approved travel kits for liquids. I don’t have to worry about how many ounces I’m pouring or what size my bag is. I know it’s going to be approved. And since we purchase all of our shampoos and conditioners in bulk sizes, it’s super cheap for me to just fill these little containers up. I also throw in some Band-Aids and travel tissues. Tip #7. My husband doesn’t have to wear ties often, but this summer we traveled to a resort where they were mandatory for dinner. 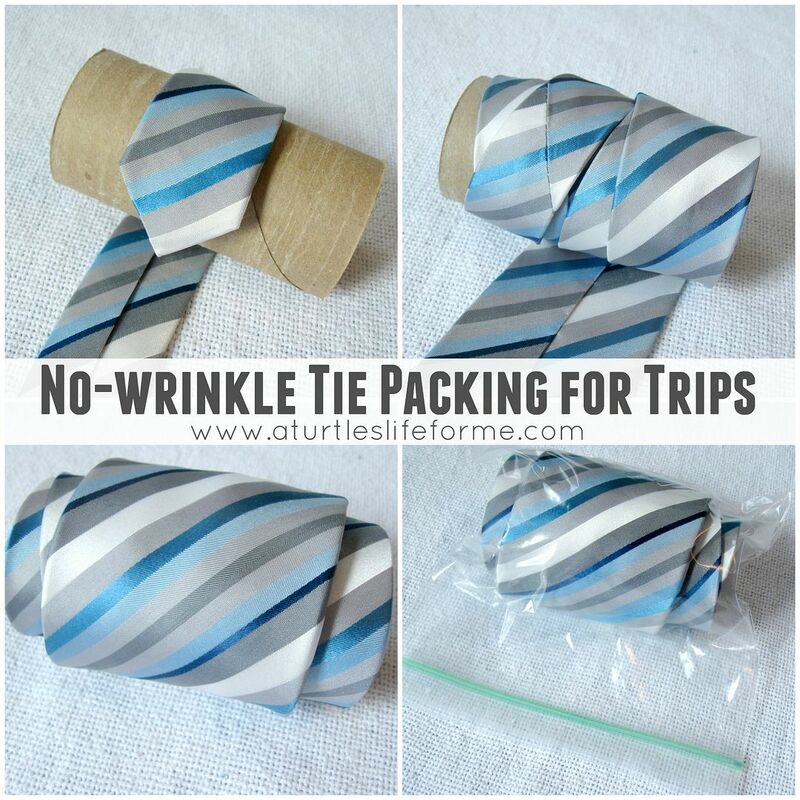 I found this trick by doing a Google search and it worked great for keeping his tie wrinkle-free. Just start with an empty toilet paper roll and lay the thin end of the tie over it. Criss cross as you wrap it so it doesn’t get too bulky in one spot. Then pack it in a Ziploc baggy so it doesn’t unravel. You could try a ribbon or rubber band to hold it in place, but that might leave a crease too. Tip #8. This isn’t exactly an organization tip, but it is a travel tip that makes my husband extra happy. At home, he has a little set-up in our bathroom to listen to music while he gets ready and showers, and he seriously misses this when we’re traveling. So the smart little bugger came up with a solution! 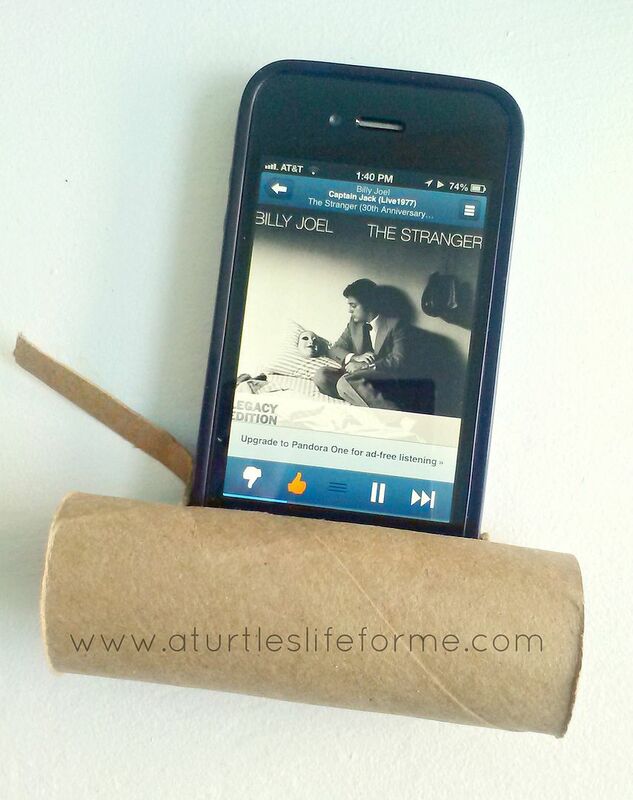 When we’re traveling, take that same toilet paper roll from up above, cut a slit in it and make a pseudo speaker for your phone! This is one of those little things that helps bring the comforts of home on the road with us! It really does make my husband happier! Tip #9. 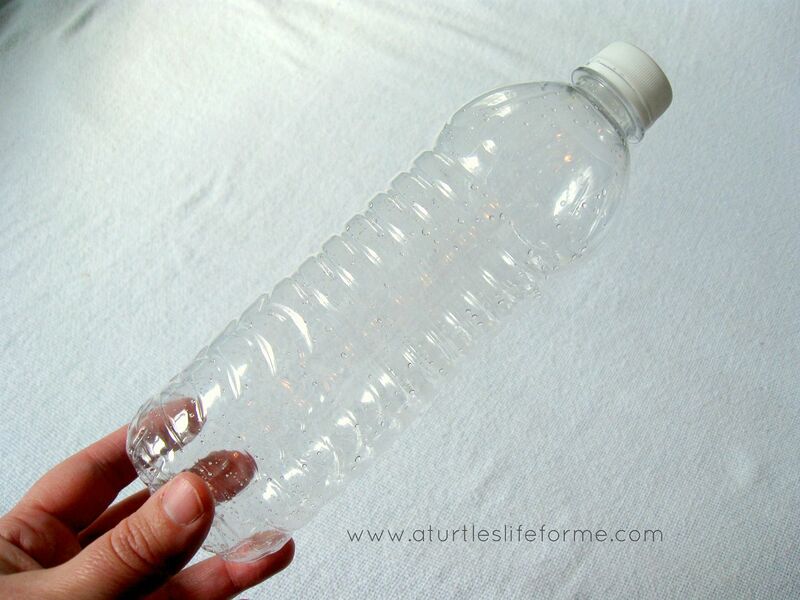 Bring an empty water bottle in your carry-on. You’ll be able to get it through security since it isn’t full, and then once you’re through, you can fill it up from a water fountain! Don’t spend $4 on a bottle of water from a souvenir shop! I am happy to report, that I have COMPLETELY changed my point of view on this! I now unpack as soon as I arrive and it really is so much nicer as the week progresses. Your clothes aren’t wrinkled, you can see everything at a glance, and it just feels more relaxing. I love these tips! I am going to have to visit the Container Store! I keep everything in separate pouches! Generally, I pack pretty small and ensure that I have very little extra stuff. Then once I hit the hotel, I unpack everything and while at the hotel I keep it clean and neat. Works great with myself and my wife, but throw kids in the mix and all bets are off. Then, we end up packing to the max because any “necessity” forgotten can lead to a meltdown! 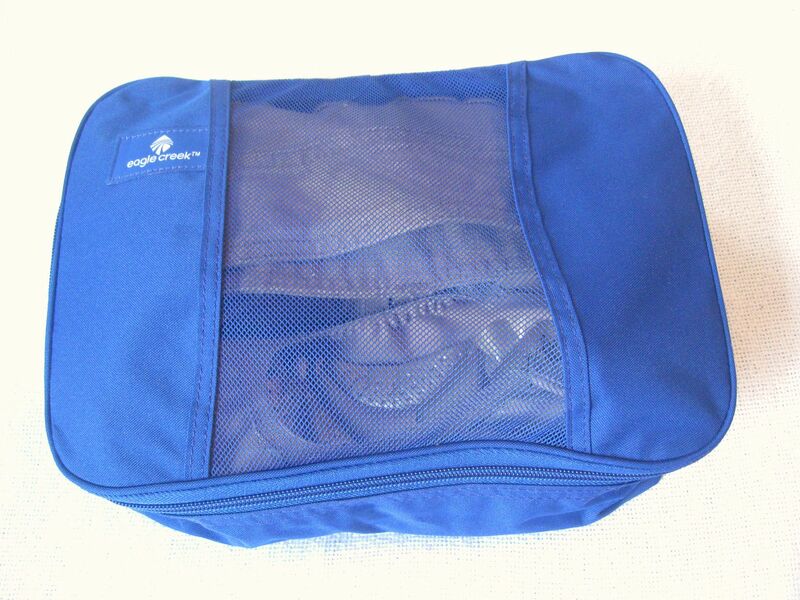 I always bring along a mesh laundry bag so I have somewhere to keep my dirty laundry. It stays separated and out of the way. Quickly unpack clothes from luggage and organize into dresser and closet at hotel to keep organized. I use ebags so that my clothes are separated by days and I have everything I need right at my finger tips – I also use ziploc bags to make sure nothing leaks! I try to pack light so I can see everything in my suitcase and find what I need! I try and fold and repack the dirty clothes in plastic bags as I go so it’s easy to put everything back in the suitcase when it’s time to leave. I pack my clothes in more or less the order in which I will be using them, with the things most needed on top. 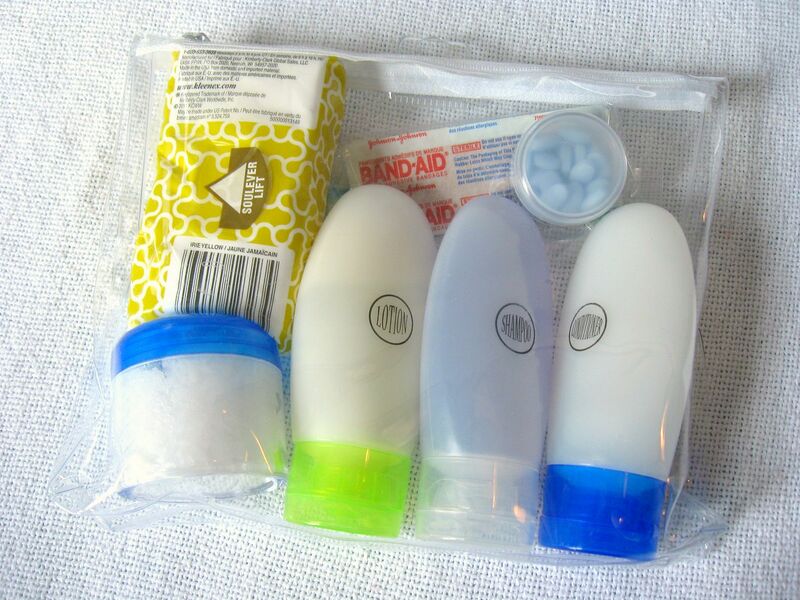 I pack toiletry and medicine items in two bags, separated by type. 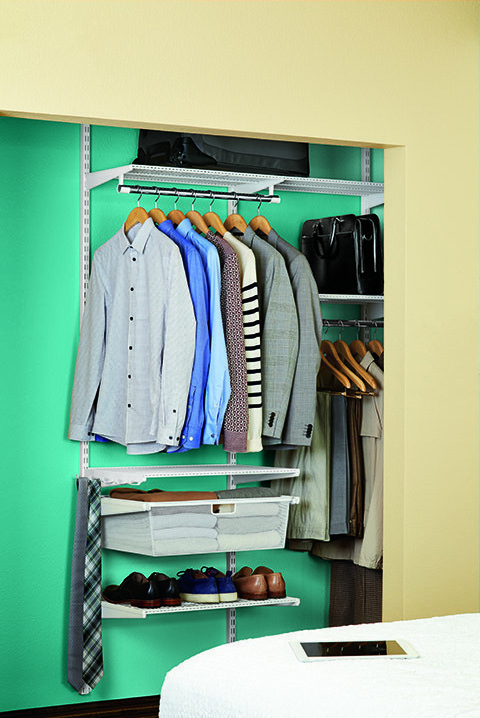 I could certainly make use of their glide-out drawer for folded items! I like to unpack everything to be more orderly. I stay organized by packing my bags really nice, I roll my clothes to save room and time, I also unpack as soon as I arrive to the hotel. And I only bring what I am going to actually use. I stay organized by writing everything down I need before packing and checking everything off as I pack. I keep that list with me for when I am ready to pack back up again when I am ready to leave to make sure I have everything. Oh my, you are organized! I try to be as well. Loved your tips! I use a tote with lots of pockets for my iPad, chargers, etc. I love the smaller one you have for the change of clothes (I do that too!). Zip-locs are my friends! I like to make lists of what I need to pack and then pack that list with me so I know that I don’t leave anything behind when it is time to leave. you’re very organized, like a pro. 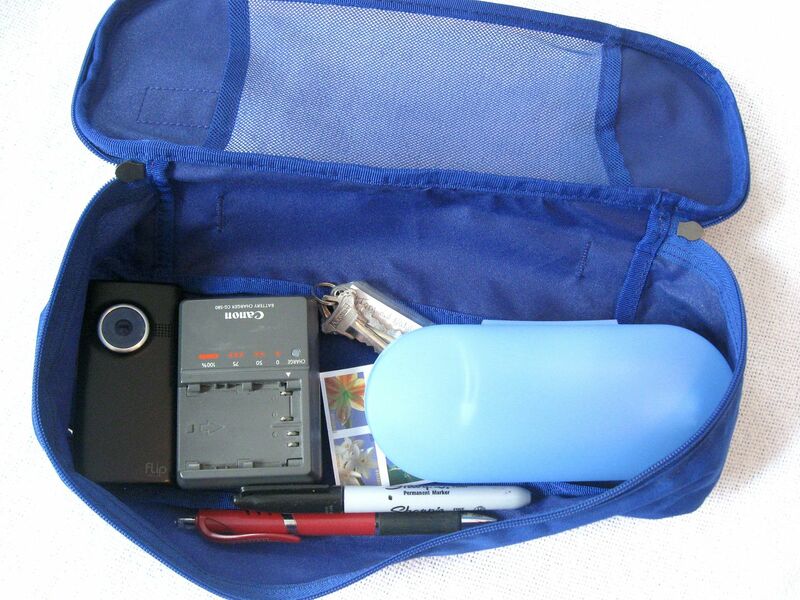 I don’t travel often but i always keep personal hygiene items in a separate bag and clothes organized by events/days. I bring extra things depending on weather. I stay organized by not over-packing. I like to take clothes in neutral colors that I can mix and match. I also unpack as soon as I reach my room to keep my clothes from getting too wrinkled. I keep dirty clothes in a separate plastic bag when packing to go home. My fiance and I are going on vacation and staying in extended housing and we want some helpful tips. I like your advice to unpack as soon as you get to the hotel. This is way better than living out of your suitcase and being unorganized.